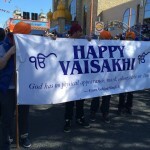 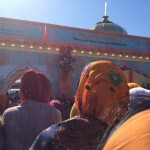 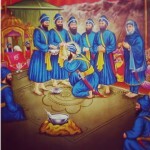 Posted on April 21, 2014 by ggsgadmin in Vaisakhi. 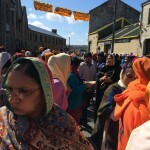 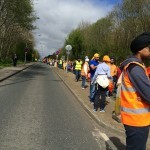 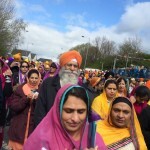 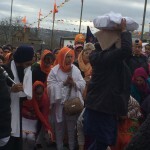 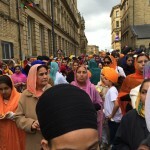 As usual, for the 2014 Vaisakhi celebations a Nagar Kirtan was held where the Guru Granth Sahib Ji was taken in a procession to each of the Gurdwaras in Bradford. 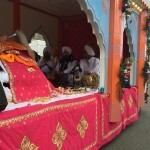 Nagar means “town” and Kirtan is the “singing of spiritual hymns”. 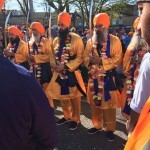 The Nagar Kirtan is a time where once a year we can all forget about our stresses and strains in life and walk side-by-side with our brothers and sisters of the Khalsa Panith. 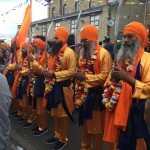 The 2014 Nagar Kirtan was held on Sunday 13th April and started from the Gurdwara Guru Nanak Dev Ji. 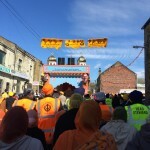 The route was 5 miles long and can be viewed on this map. 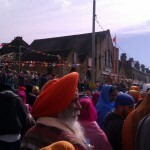 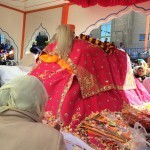 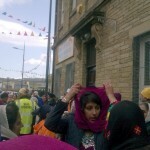 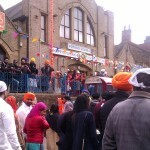 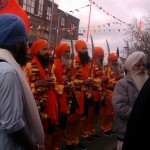 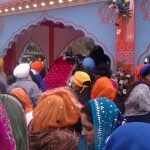 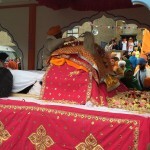 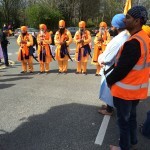 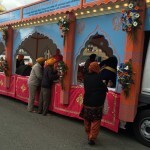 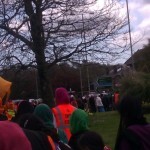 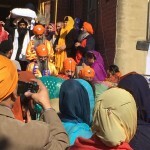 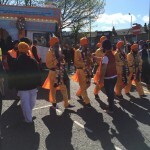 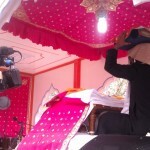 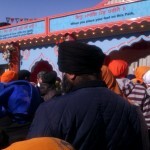 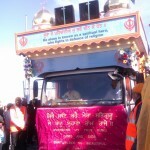 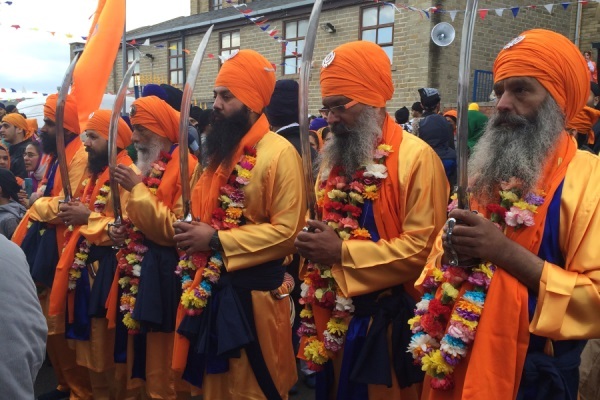 Here are some pictures from the Nagar Kirtan – click on any picture to view as a slideshow. 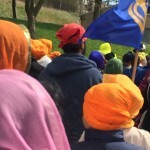 Start on the Nagar Kirtan from the Gurdwara Guru Nanak Dev Ji and the walk to Guru Gobind Singh Gurdwara. 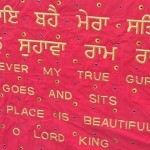 Stop at the Guru Gobind Singh Gurdwara and the walk to the Gurdwara Singh Sabha. 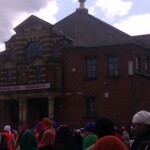 Stop at the Gurdwara Singh Sabha and the walk to the Ramgarhia Sikh Gurdwara. 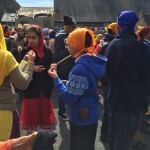 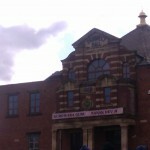 Stop at the Ramgarhia Sikh Gurdwara and the walk to the Gurdwara Amrit Parchar Dharmik Diwan. 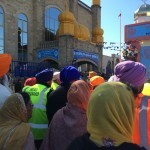 Stop at the Gurdwara Amrit Parchar Dharmik Diwan and the walk back to the Gurdwara Guru Nanak Dev Ji.